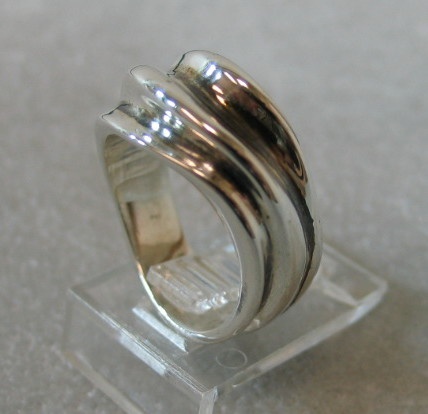 This ring has interesting undulating surfaces inspired by rolling sand dunes. Several angles are shown in following photos. Message me to arrange purchases.